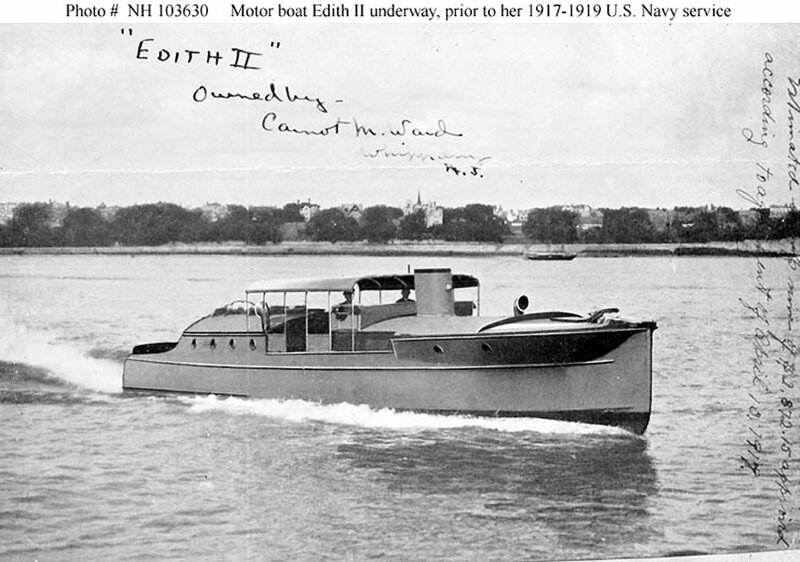 Motorboat: Built in 1917 by the Great Lakes Boat Building Corp., Milwaukee, WI; Acquired by the Navy in May 1917 and commissioned USS Edith II (SP 296); Renamed SP-296 in 1918; Returned to her owner, Carnot M. Ward of Whippany, NJ, in 1919. Fate unknown. Specifications: Displacement 33 t.; Length 50'; Beam 12'; Draft 4' 6"; Speed 12 kts. ; Complement unknown; Armament two 3-pounders. 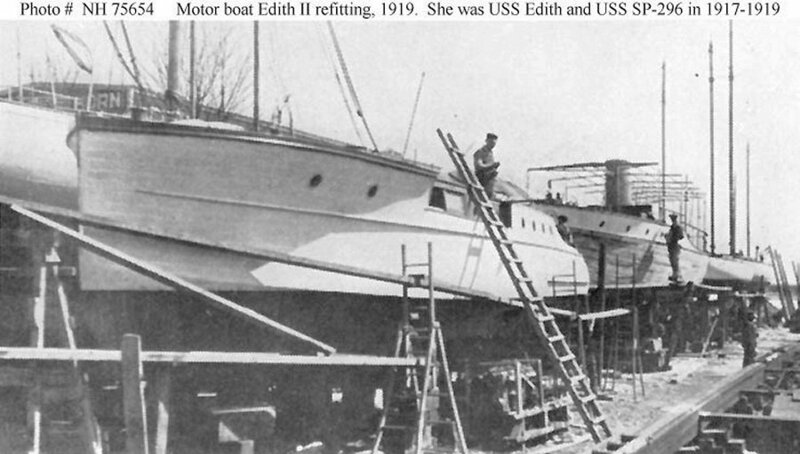 121k Fine screen halftone reproduction of a photograph showing her underway, prior to her World War I era U.S. Navy service. 91k Halftone reproduction of a photograph taken while she was refitting at Nevins' Yacht Works, New York City, in the spring of 1919. Copied from "The Rudder" magazine, June 1919, page 259. Courtesy of Robert F. Sumrall, 1972.. There is no DANFS history currently available for SP-296.